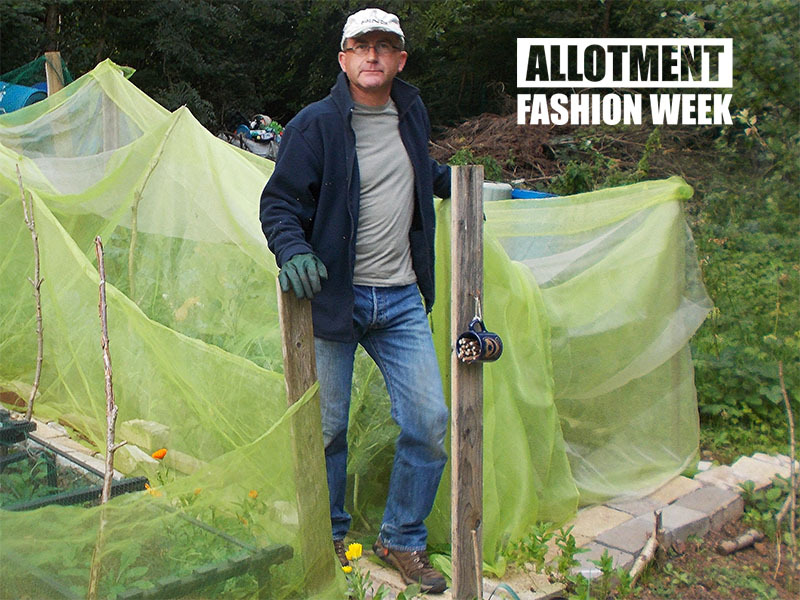 You are at:Home»Inspiration»Allotment Fashion Week»#AllotmentFashionWeek Day FOUR – Trousers Off, Hats on. 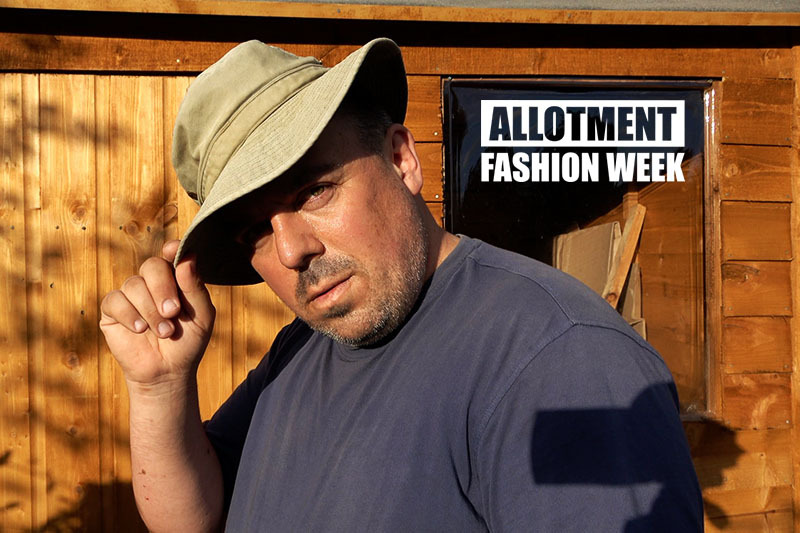 #AllotmentFashionWeek Day FOUR – Trousers Off, Hats on. We also have some tips from George at Asda, sorry I mean Paul at Sainsbury’s – that’s where he gets his plain t-shirts from. 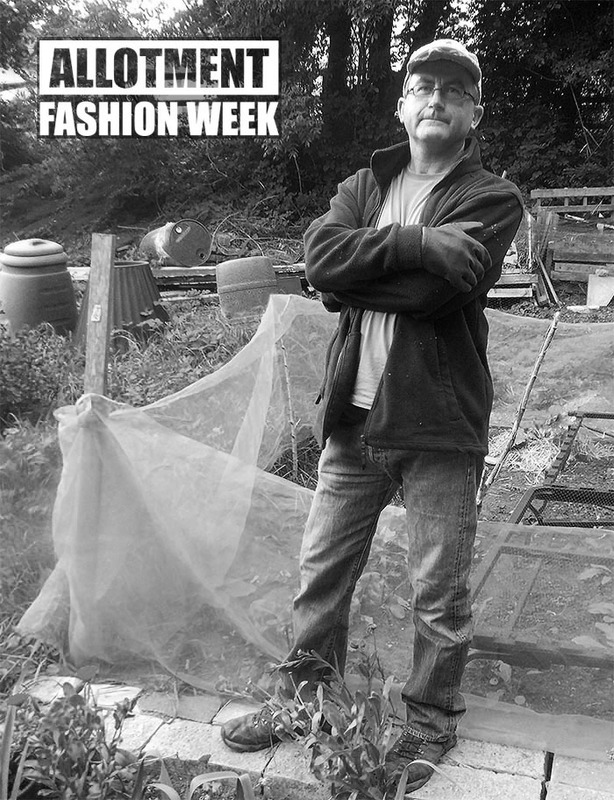 Secretive Sean has also put in an appearance, just a brief one, he’s keeping his allotment fashion tips firmly under his hat. 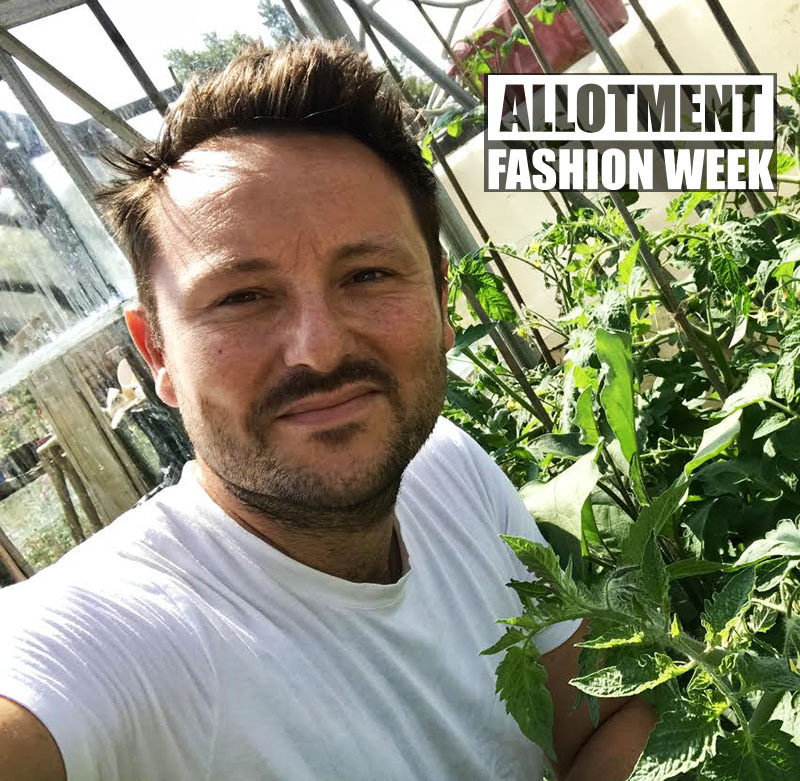 Much like a well-known American fast food chain, Joe has a very strict rule that ‘tops must be worn’ on his plot, and it’s an allotment rule I happen to agree with! 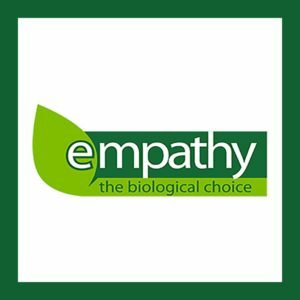 Reduce, reuse and recycle is the mantra of the Green Fingered Blogger. 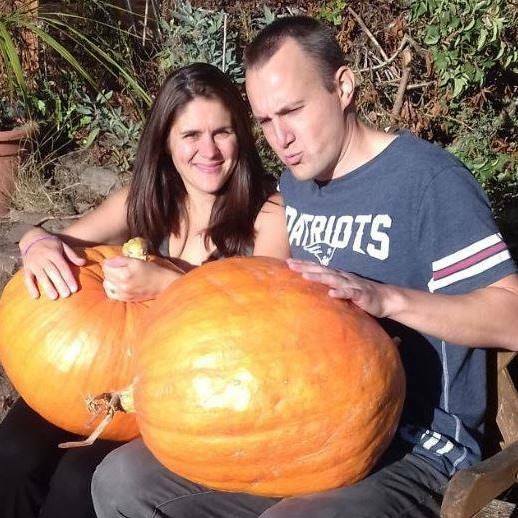 Paul is determined to show that gardening can be both economical and environmentally friendly. 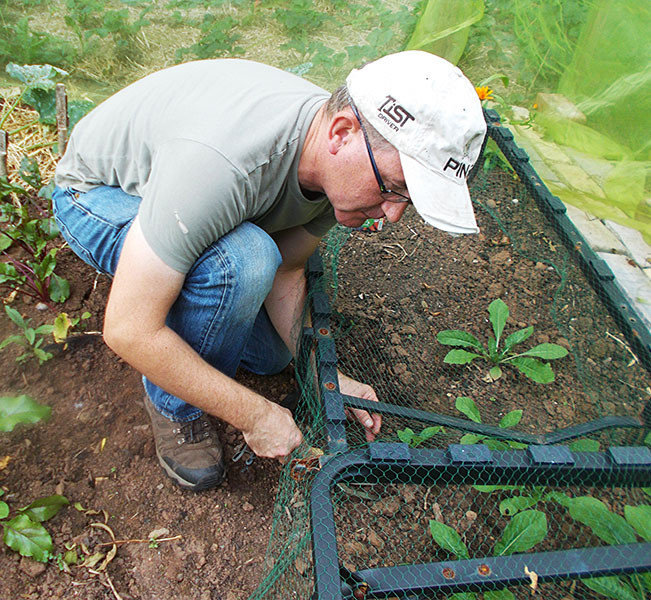 His brassicas are protected by a net held up by pieces of an old bed and a snooker table. His carrot seedlings are protected from pigeons using a broken sofa bed. He hates throwing anything away, and this applies as much to the contents of his wardrobe as anything else. 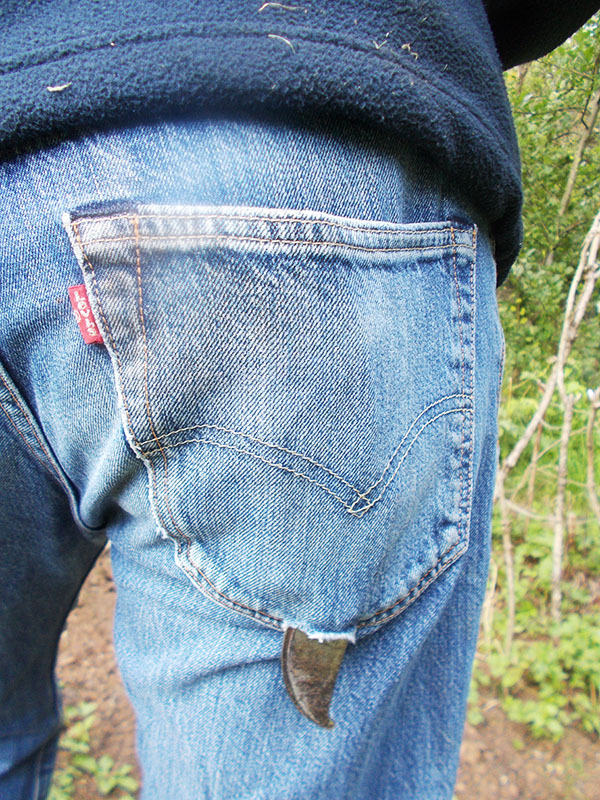 … provided the only hole in them is the one that turns his back pocket into a holster for his secateurs, which worries me a little, I hope he’s careful where and when he sits down! 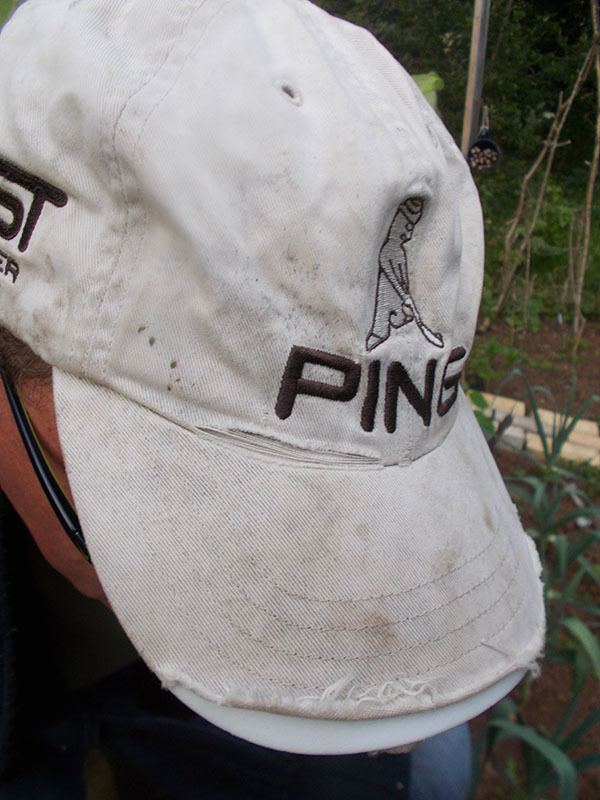 Paul’s caps also show signs of the wear they’ve had in their previous life. No longer smart enough for the golf course, they get a second life on the allotment. Paul’s t-shirts are newer, but being naturally averse to brand names, they are plain colour supermarket own brand shirts, though Paul draws the line at George at Asda, and buys from Sainsbury’s instead. 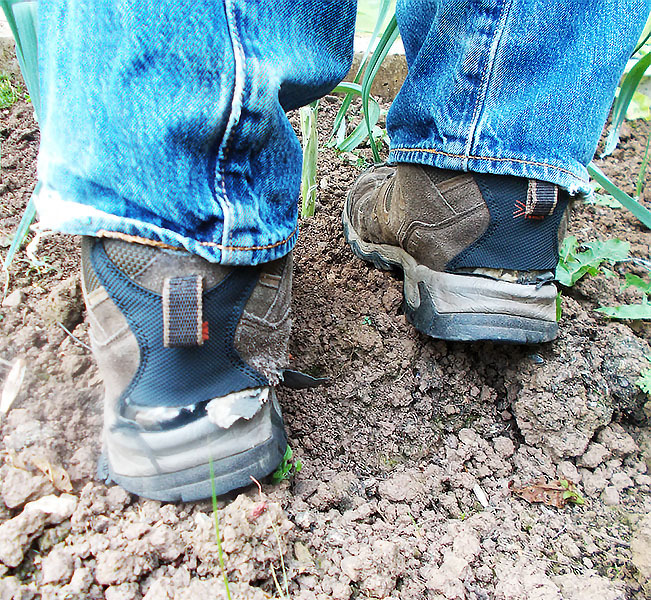 “My allotment is only a 2 minute walk from my garden gate, so getting wet feet is not a big concern”. 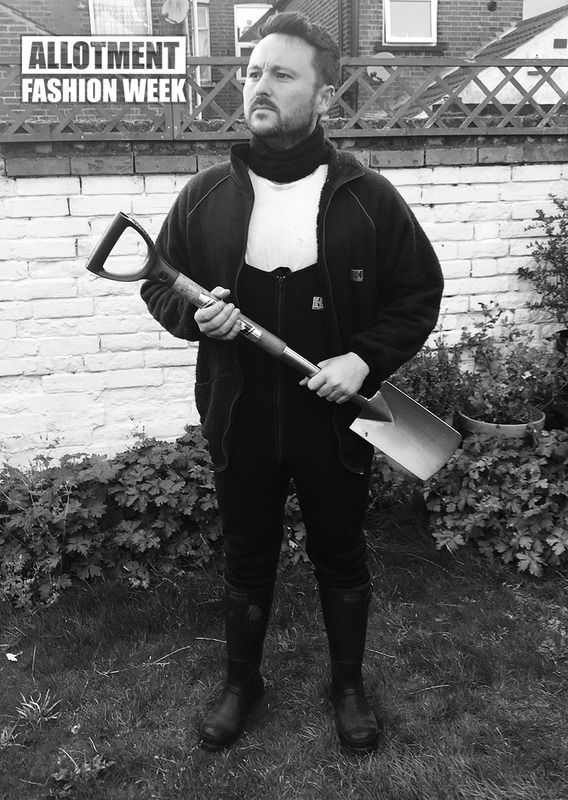 Sean is a man who likes to keep his gardening wardrobe a closely guarded secret. 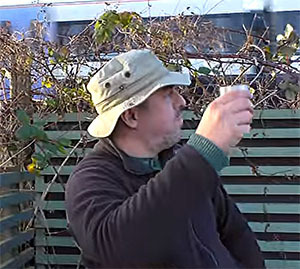 From his popular horticultural YouTube videos we know Sean is huge a fan of the jumper and fleece combo (see right) – apparently this look is a real hit with the train drivers who give him the odd toot of approval. 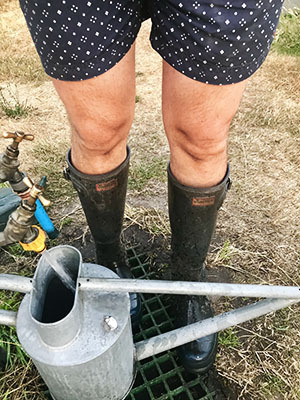 What a relief that he doesn’t wear his swimming trunks like Joe (above), otherwise I think the British Transport police might get involved.